The Aloha Tower Marketplace, Royal Hawaiian Shopping Center and the Ala Moana Shopping Center near Waikiki Beach, Honolulu, are popular shopping areas. Mon-Sat 0900-2100. Some shops may open Sun 1000-1800. Bars and nightclubs abound, especially on Oahu and Maui. 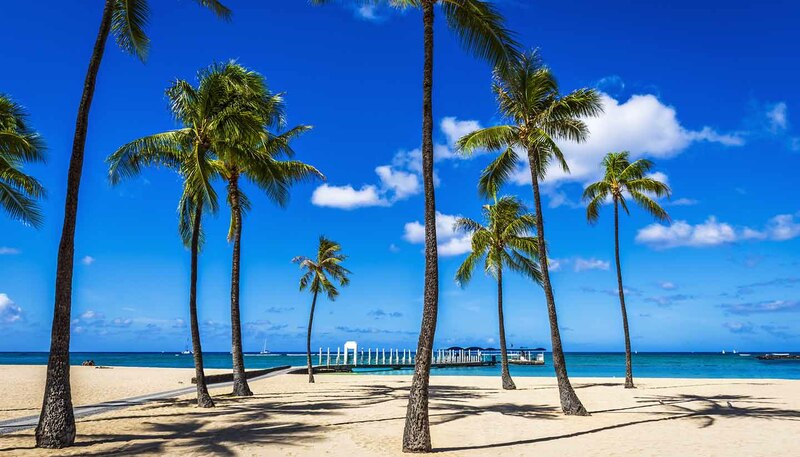 Top international stars are booked, whilst luau shows (traditional Hawaiian banquets followed by live performances of music and dancing) are in themselves a great attraction. Jazz, big band music, tea dances, and hula groups are all available.